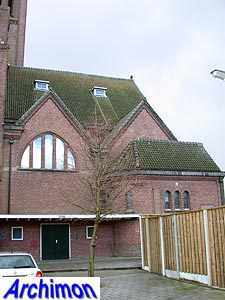 In general, Expressionist architecture in The Netherlands is mostly associated with the Amsterdam School, a direction which emerged shortly after the year 1910 but did not get a religious use until the 1920's, and for protestant churches mostly. 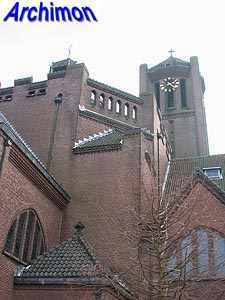 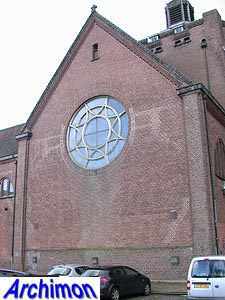 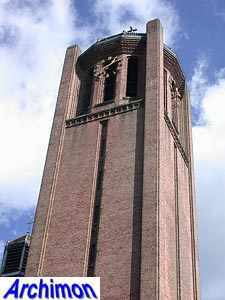 However, there is this catholic church in Tilburg which is definitely Expressionist in style, especially in its details, built well over a decade before the Amsterdam School found its way to church architecture. 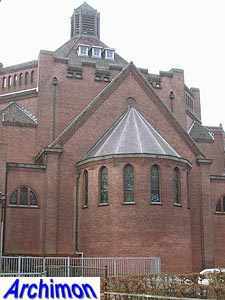 As such, it may well be the first church in Expressionist style in the whole country. 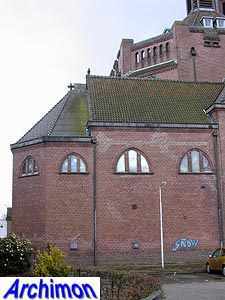 The architect, Jan van der Valk, is neither very famous nor influential. 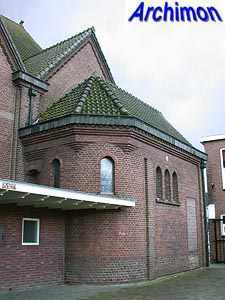 Most of his work is found in his home town Tilburg, where he mostly built houses. 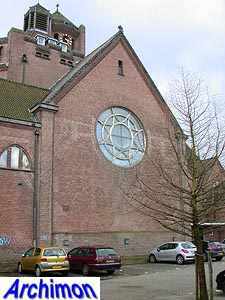 Before this church, his only work with a religious nature was a convent in Oisterwijk. 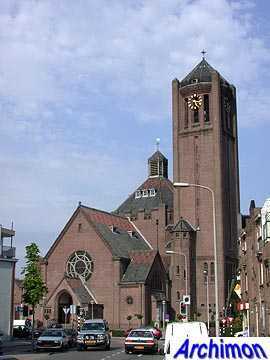 Van der Valk only designed a few more churches. 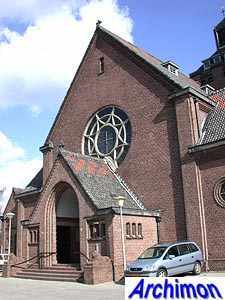 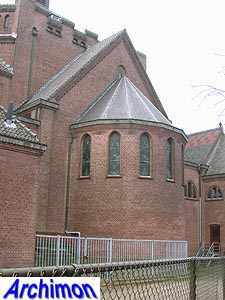 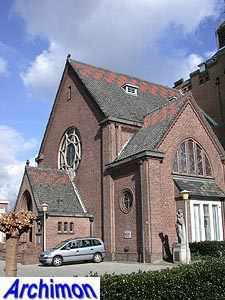 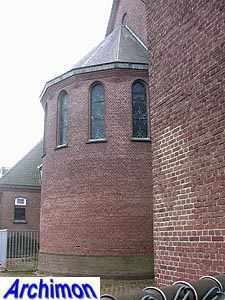 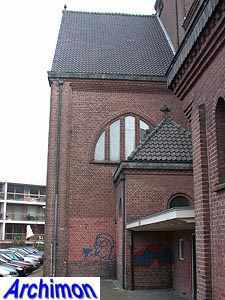 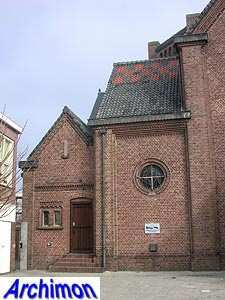 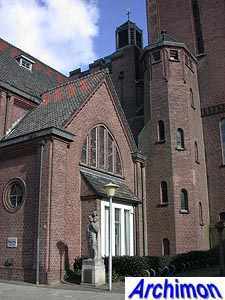 Although he remained an architect of profane buildings mostly, and never fit in any of the contemporary catholic architectural schools, this church Onze Lieve Vrouw Moeder van Goede Raad (Our Lady of Good Counsel) is probably his most important work. 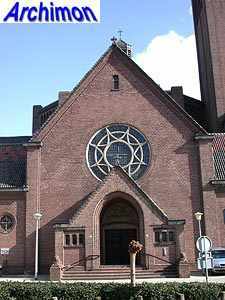 He is known to have been subscribed to several foreign architectural magazines and was possibly inspired by German Expressionist architecture when he designed this church. 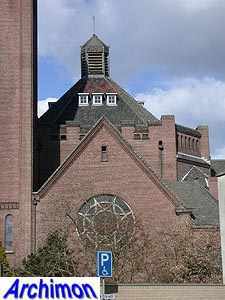 The church has a centralizing layout, with a short nave, wide transept-arms, a short choir and a large octagonal crossing tower with a dome on top. 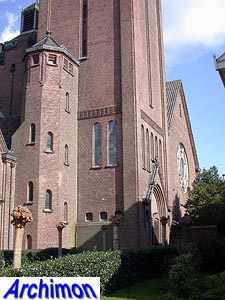 The crossing tower is decorated with battlements and balustrades. 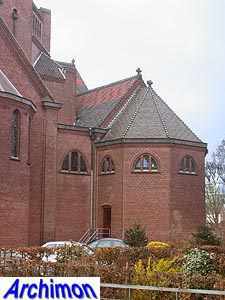 The construction of the church is mostly of reinforced concrete, while the exterior is of brick. 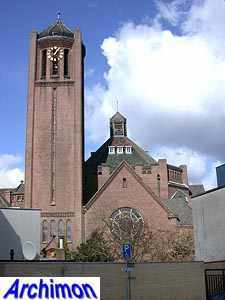 The 45-meters tall tower in the corner between the nave and the southern transept-arm is mostly square in diameter, but its upper part is polygonal and the most expressionist part of the church.